Don't get ripped off. We know you'll love what we do and our prices so we don't need to charge exorbitant call-out fees. Our plumbers work 24/7 so we'll always have someone on standby ready to help with whatever you need. When disaster strikes and your systems are down, you need a solution fast. Plumbing emergencies can be stressful and expensive especially when they’re left for too long. When you’re a business, getting your plumbing systems up & running ASAP is even more important because the longer you leave it, the more money your business is potentially losing out on. That’s why we focus on delivering world-class 24/7 emergency assistance throughout Melbourne and inner suburbs. We know how important this service is and we want to give you the peace of mind that you’ve got an emergency plumber you can count. Regardless of your problem, we’re able fix it. Our vans are plumbers are always fully stocked and on-call servicing an area near you. Blocked Drains – our emergencies plumbers deal with blocked day, night, and over the weekend. Blockages are real emergencies, especially if it’s the toilet! Flooding taps, toilets, sinks, appliances & fixtures – any type of flooding is an emergency and is treated as a top priority at Revive a Drain. 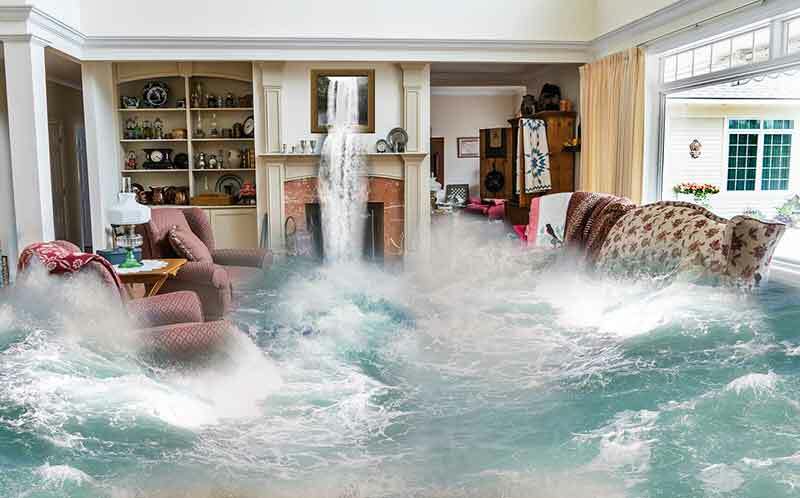 Burst water pipes – Speaking of floods, burst water pipes are one of the leading causes of flooding in Melbourne homes today. The sooner they get fixed, the better. Hot water system breaks down & repairs – although it might be refreshing, there’s nothing more annoying than waking up to a cold shower in the middle of winter. At Revive a Drain, we pride ourselves on our ‘Safety First’ approach. Every job we complete is performed to the highest of industry standards as well as following all safety and health regulations procedures. Whatever you do, don’t try to DIY dangerous plumbing solutions on your own, especially when there are any electrical sockets running nearby. Please contact a professional & licensed plumber, like Revive a Drain, immediately instead. With over a decade of experience in the industry, we have the expertise & knowledge to handle any type of emergency plumbing situation. When you’re choosing a plumber, experience matters because that experience helps perform jobs better & faster saving you money in both the short long run. There’s nothing worse than having a plumbing problem that you need fixed ASAP and your plumber shows up late and/or then tries to charge you through the roof. Revive a Drain’s pricing model is not only fair & affordable, it’s transparent and upfront. We’ll always inform you of what the cost will be BEFORE we get to work so your not hit with any nasty surprises. Arriving promptly and then performing any services quickly are essential qualities you want in your local plumbers. The faster problems are solved and the sooner your plumbers can get there, the less money you’ll spend and the sooner they’ll be out of your hair. Fortunately for you, Revive a Drain’s middle name is ‘fast & efficient’ which we back up with our 100% satisfaction guarantee and our service usually within the hour.